Since the 2008 economic meltdown, entry-level jobs are hard to find in Canada. With a youth unemployment rate above 13% — and aboriginal job seekers, aged 15 and older faring even worse according to the National Aboriginal Economic Development Board — both federal and provincial governments have invested in targeted training initiatives for youth and Aboriginal job seekers. Facilitated by organizations with strong connections in the community, these initiatives offer a spectrum of programs geared towards removing barriers to employment, building up job skills, and providing work experience. Currently, Cherie Lynn relies on UFV Continuing Education to deliver Occupational First Aid for the Youth Keep Working (YKW) program, which runs six times a year in Abbotsford. 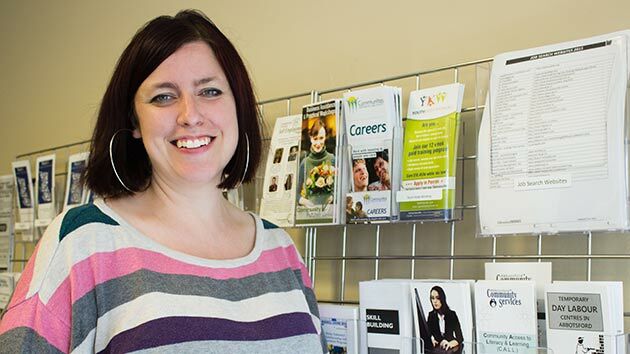 Funded through the Government of Canada, YKW is a 12-week paid training program, that prepares unemployed youth, aged 16 to 30, for the workplace. The program blends workshops that build employability and leadership skills with work placements. The YKW program has an excellent success rate. Seventy percent of the youth find a job at the end of the training. An additional five to ten percent go back to school to finish high school, start a trade, or gain a certificate, diploma, or degree. In the end, it is UFV’s flexibility in working with her and her clients that impresses Cherie Lynn the most. Recently, when she was launching Catch 22 Solutions, a pilot youth program similar to YKW in Chilliwack, she could not find a location to deliver First Aid training. “Our UFV program coordinator proved very accommodating,” she says. “She suggested possible locations and she worked around our schedule to book the course.” UFV going the extra mile helped relieve the pressure of working out the logistics. Agora first started as the Employment & Community Development department of the Mennonite Central Committee BC (MCC BC) in 1990 and transitioned to Agora, a company owned by MCC BC, in 2012. In partnership with the federal and provincial governments, community-based organizations, and local employers, Agora has run more than 60 employment and community development projects in Vancouver, Richmond, Abbotsford, and Chilliwack. The agency offers training and employment services to anyone eligible to work in Canada, including youth facing barriers to employment. For the last three years, UFV Continuing Education has provided contract training services to Stó:Lō Aboriginal Skills & Employment Training (SASET), an organization dedicated to helping First Nations and Inuit people in the Fraser Valley achieve sustainable employment. Funding may help cover tuition, books, living expenses, and transportation. Any skills training through a private or public institution is eligible, as long as it is recognized as an industry standard. SASET also runs in-house training programs in construction, office administration, and culinary arts. Most recently, UFV Continuing Education has delivered World Host training for SASET’s 16-week Pre-Trades Culinary program, which runs three times a year, and enrols up to 15 students per class. Overall, the Pre-Trades Culinary program provides trainees with the foundational cooking and safety skills needed for entry-level employment in a professional kitchen, as well as work experience through a three-week practicum. “Our grads have an 80 percent employment rate,” Chris notes. “The main goal is to prepare them to get a job and earn a wage so that they can build a successful future. For the last three years, SASET has also partnered with UFV Trades to run a six-week Trades discovery summer program for Aboriginal high school students at the Trades and Technology Centre in Chilliwack. The youth are introduced to welding, construction, culinary, and automotive trades and also earn pre-employment certifications in Forklift, Food Safe, and First Aid. 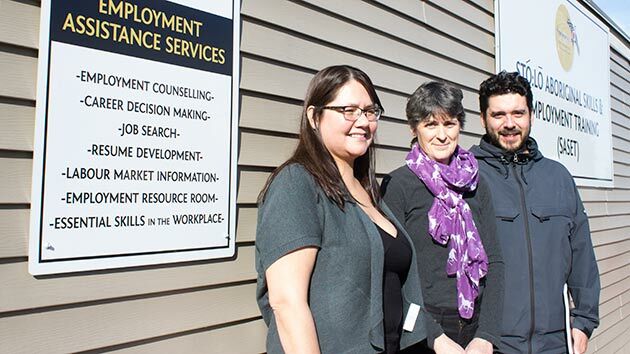 In partnership with Services Canada, SASET provides employment and skills training services to all First Nations and Inuit people residing in the Fraser Valley to help them reach their full educational and employment potential. SASET provides services in 23 offices from Surrey to Boston Bar, as well as three communities in Lower Stl’atl’imx. SASET serves all First Nations and Inuit people regardless of whether they reside on reserve or off-reserve or in an urban community, and regardless of their place of origin and status under the Indian Act.